The Journal of Agriculture publishes original research papers in all aspects of agricultural sciences for international audience with interest in the field of agriculture. The journal covers topics related to crop and animal systems, land use, agronomy, forestry and biodiversity. 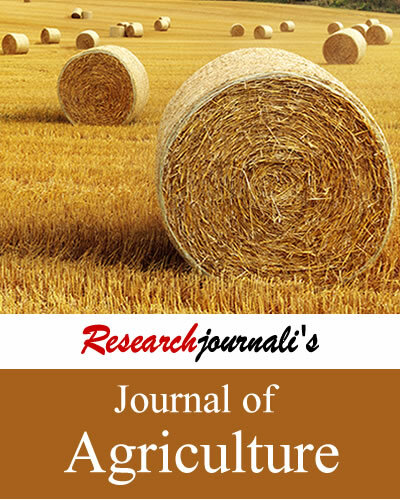 Researchjournali's Journal Of Agriculture (RJOA) publishes original research papers in all aspects of agricultural sciences for international audience with interest in the field of agriculture. The journal covers topics related to crop and animal systems, land use, agronomy and husbandry, forestry and biodiversity. The journal targets audiences including universities, colleges, organizations, professors and agricultural researchers.